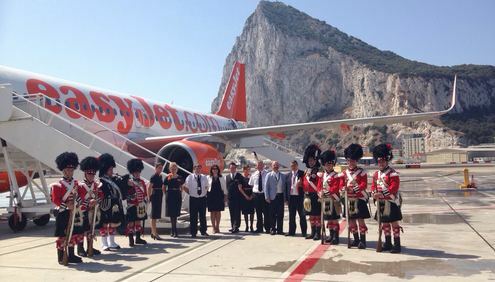 easyJet, the UK’s largest airline, has launched its first flight from Manchester to Gibraltar. easyJet now flies to 45 destinations from Manchester and bases 11 aircraft there. The airline carried over 2.6 million passengers on flights to and from the airport last year. easyJet is expected to fly 30,000 passengers between the destinations annually, operating twice a week throughout this summer. The Airbus 320 aircraft which operated the first flight departed on Sunday morning and the new service will operate year-round. Last week easyJet announced two new routes on sale to Turin and Las Palmas, Grand Canaria, further strengthening its position at Manchester Airport. “We’re delighted to have launched this new route from Manchester Airport. “Gibraltar is a firm British favourite and we are seeing an increasing amount of passengers choosing head to the famous rock on the Med. “Our routes make it easy and affordable for business and leisure travellers to connect to a choice of year-round destinations. “It’s great news that easyJet has launched its inaugural flight from Manchester to Gibraltar for Summer 2016.